HomeNewsLeaksNokia 6X leaks Bezel-less display, 18:9, Snapdragon 660, 4GB RAM and much more. The Bezel-less and 18:9 ratio is the new norm. After Apple and Samsung, the Vendors at HMD Global, new owners of Nokia brand has decided to adopt the Plus line for their smartphones. It has been revealed that the company is ready to unveil their latest Nokia 6X smartphone soon. This variant of the Nokia X will come larger 6-inches IPS display and as seen in the leaked image below, its confirmed that the design of the device will be more updated and it will ditch the home screen button on the front. While it will be replaced with a finger scanner at the back of the device. The biggest changes in design will be the introduction of new screen resolution aspect ratio of 18:9, for a whole new 2,160 x 1,080 pixel resolution scree of upto 6-inch IPS LCD screen as mentioned above. The same features are found in the upcoming Nokia X series smartphone, but it has the smaller display. Under the hood the Nokia 6X comes with a whole new chip, The Qualcomm Snapdragon 660, not the fastest as the 845 chip, but still quite competitive as compared to other mid rangers available in the market. The leaked source also claims that it will be upto 30% faster then the previous model. The chip comes with support of Adreno 512 GPU along with 4GB of RAM for (64GB) basic variant while there is reported an increased RAM version of 6 GB for the 128 GB internal version of the phone. Just like the OnePlus device. Furthermore a dual camera setup is expected to be on the back of the device. With 13-megapixel dual unit loaded with Carl Zeiss optics will be quite competitive to the modern day epic shooters in smartphone industry. Beside this the device will come with a whole new 16-megapixel unit as a front facing camera. There are no reports of any Price tag yet, and the official HMD Global accounts on Social Media seems to be silent on this development. 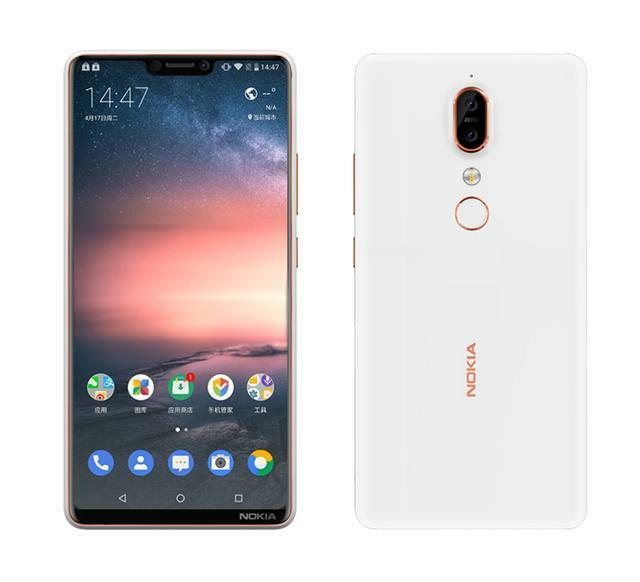 But we are quite sure to see the first X variant from Nokia as Nokia 6X after the famous Nokia X mid-range android devices launched back in 2015. We will keep a close look at the developments. You can subscribe to our blog or simply follow us on Social media to get updated news.